Pinto point, Tuzigoot National Monument. Click the image to open the Pinto/San Jose gallery. Geographical Range: Distributed throughout the Southwest, including Colorado, Utah, Nevada, Arizona, New Mexico, and northern Mexico. Date Range: 5200(?) – 3200 B.P. (Lyndon 2005). Size: Average: 19.1 mm long, 17.9 mm wide, and 5.8 mm thick; stem length: 11.4 mm (Lyndon 2005:Table 4). Shape: Lanceolate or triangular with an expanding stem and narrow, usually heavily serrated blade; shouldered to notched; often heavily resharpened. Base: Concave, often eared and/or with a pronounced notch; equal in width to the neck, but variable in depth. Flaking: Irregular, random pressure flaking. Grinding: Moderate to heavy along stem margins and base. Materials: Basalt, chert, obsidian, rhyolite, and quartzite; hard materials (basalt and quartzite) appear to have been preferred. Other Names: Elko Indented-base Corner-notched. Comparisons: Pinto and San Jose points are distinguished by the lack of serration on Pinto points. However, heavy resharpening often obscures serration in expended San Jose points, making this distinction difficult, leading to common combination of the types, as used here. Des Planques (2005: 103-104) suggests basal concavity depth, however, may be used to separate the two types, with Pinto points having a significantly deeper concavity. Justice (2002a:134) also notes this difference, stating Pinto points are basally notched and San Jose points have concave bases. Pinto/San Jose stems are shorter than Bajada stems; Armijo stems are shorter than Pinto/San Jose stems. 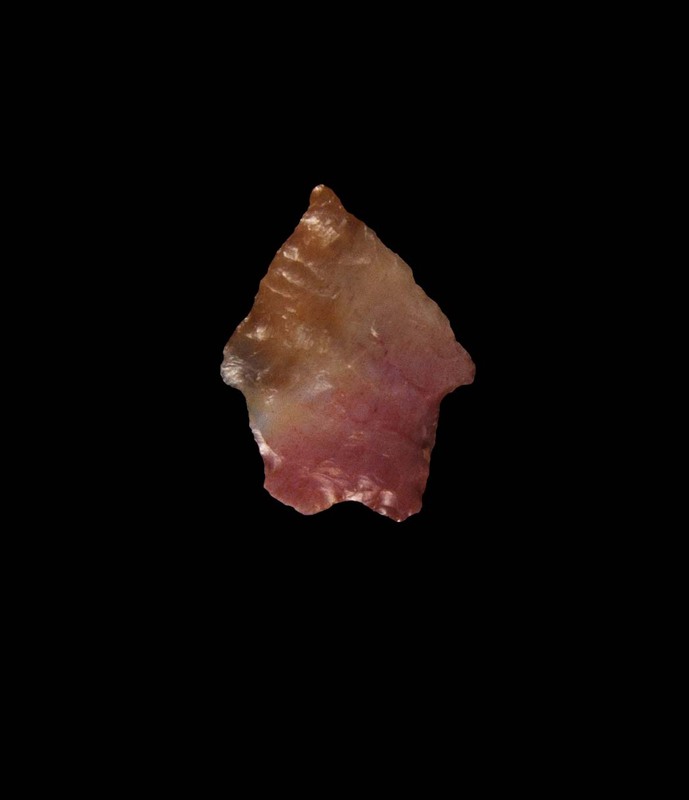 Heavily resharped specimens can be difficult to distinguish from Elko Eared points.